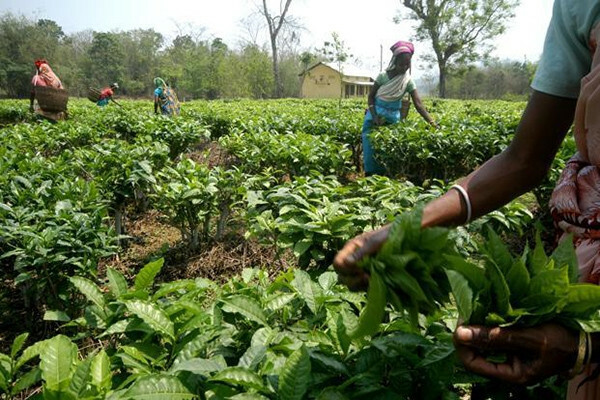 Assam’s chief minister, has again demanded that tea be given the status of National Drink. It is perhaps the right time to do so—after all, the nation’s prime minister started out in life as a chaiwala (tea seller). Getting these kinds of national statuses is usually a euphemism for a subsidy or grant of some sort to promote that product. However, as these four charts show, India is not only a nation of tea drinkers, but even the traditional coffee guzzling states are embracing tea. Data used here is from the National Sample Survey Office’s (NSSO’s) consumption studies for urban areas. Tea is the preferred drink in India, cutting across state borders. As the chart shows, even in Tamil Nadu and Karnataka, which have the strongest coffee drinking culture in this country, the amount of money spent on tea consumption is far higher. Maharashtra is the top state when it comes to spending money on tea. Looking at it another way, 83.8% of all urban households consume tea at home. Only one in 12 urban households drink coffee. Tea is not only the preferred drink, but its consumption at home is growing faster too. The median increase in tea leaf consumption for the top 19 states between 2004-05 and 2011-12 is 44%, compared with 31% for coffee. Moreover, the states with the highest per capita coffee consumption are the ones that are showing the highest growth rates for tea. But this spread of consumption works the other way too. Tea drinking states are also increasingly trying out coffee, though not to the same extent. While northern states such as Haryana, Rajasthan and Himachal Pradesh are getting adventurous with new tastes, a large part of the increase is probably owing to a low base. Karnataka and Tamil Nadu actually witnessed a decline in home coffee consumption. What should worry Gogoi is that Assam (not showed in the chart) saw a 4000% rise in coffee consumption. However, NSSO data for Jammu and Kashmir and the north-eastern states is sometimes iffy. What about consumption outside home? NSSO measures this in number of cups. Here too, tea consumption has increased while coffee has fallen. So much for the spread of the café culture. Karnataka is the only state that has a per capita monthly consumption of more than one cup of coffee. The median tea cup consumption (based on state averages) in urban India is 5.7 cups per month.